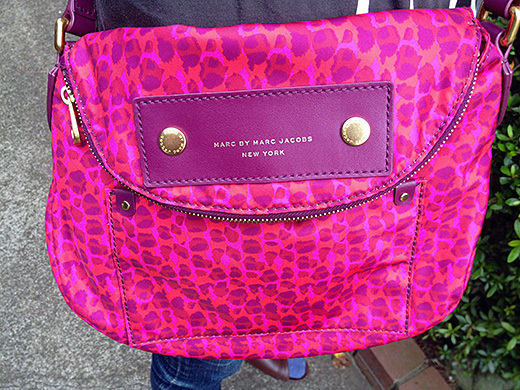 This is a Preppy Nylon Sasha’ Crossbody Bag in Cardinal Multi from Marc by Marc Jacobs. 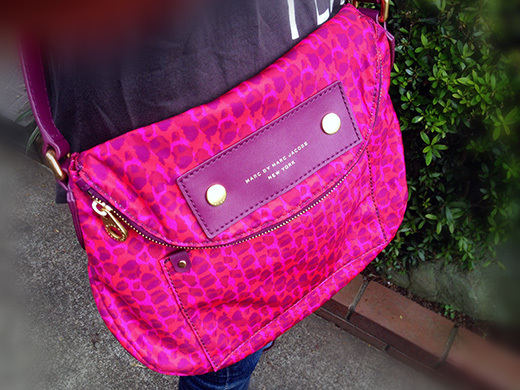 It’s a lightweight crossbody bag with a zip-around flap and a dangling luggage tag in front. 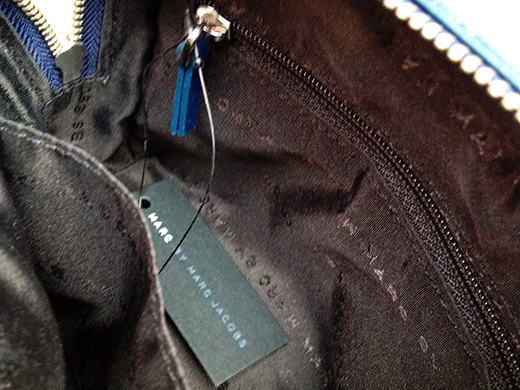 The bag has a lot of room and it goes with anything. 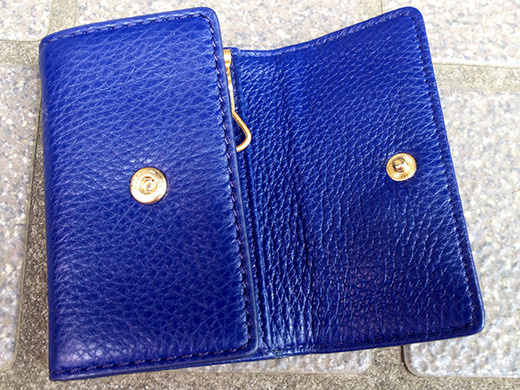 It fits my iPhone, a wallet and more stuff. 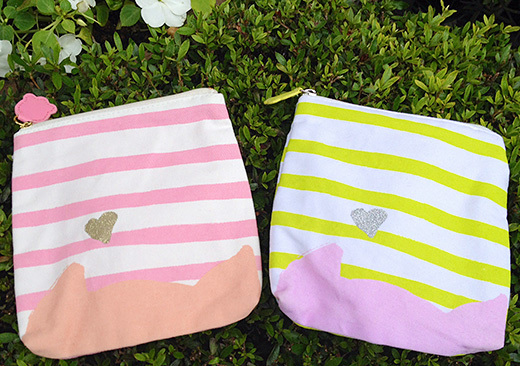 These are cotton printed small cosmetic bags from Tsumori Chisato. 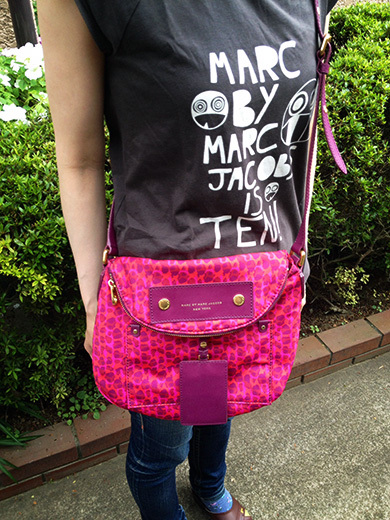 The print is designed by Tsumori Chisato. 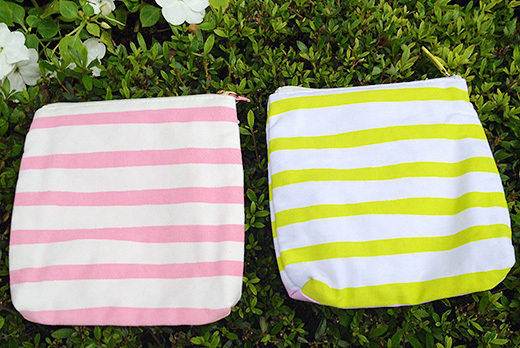 Lovely tones of pinks and lime green color. 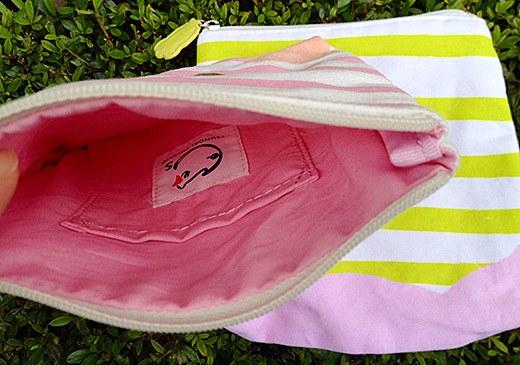 It’s a prefect little treasure to carry my make up in. 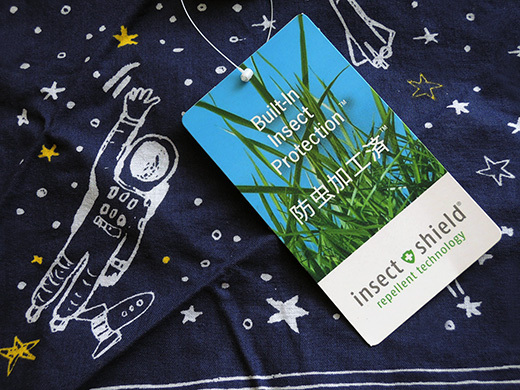 It’s like a magic and I don’t understand why it is effective, but this bandana is made as “bad insect shield” fabric. It says you can protect yourself from harmful insects. 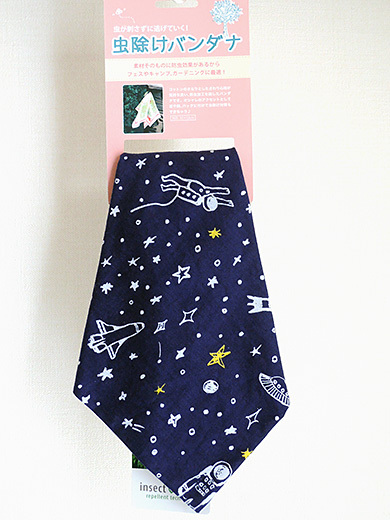 I bought this because of the space textile design was cute. I hope I can enjoy upcoming fireworks festival without itchy memories. I happened to find my favorite Jewellery artist Amanda Coleman was presenting special offer sale of her “Love Heart” collection. You can choose silver or 22k gold VM and your initial(s). 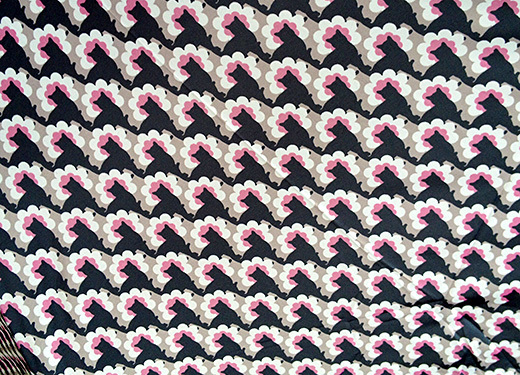 Another side is beautiful swan motif. 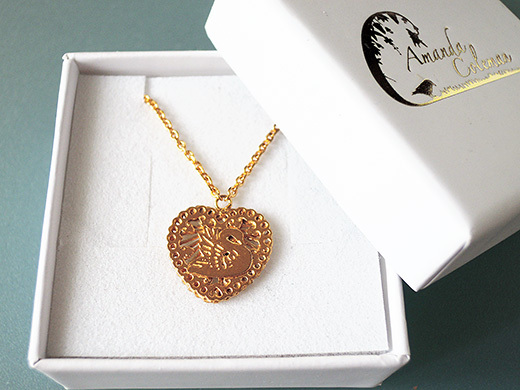 I already have some lovely jewelleries from her creation (long-haired cat w/ pink bow and leopard pendants). 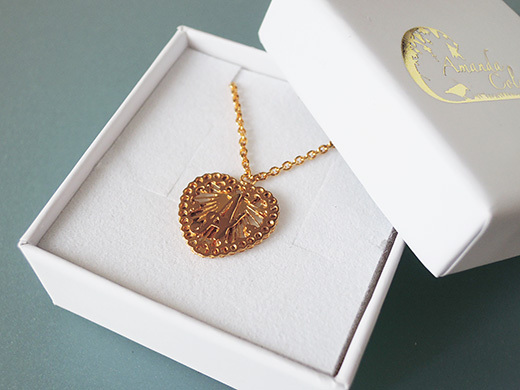 So, I ordered my own “A” Initialed Single Love Heart Pendant immediately. 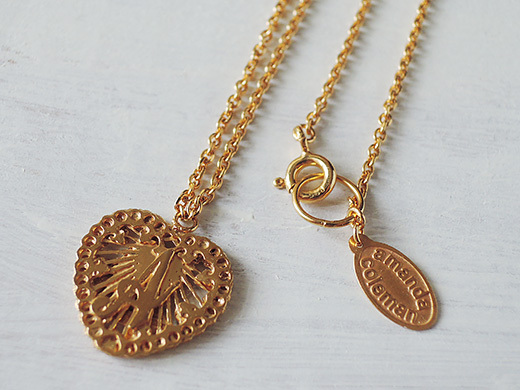 Ordinary, I’m not really into initialed items, but the pendant was so nice. Now I’m going out with this almost everyday as a good luck charm. 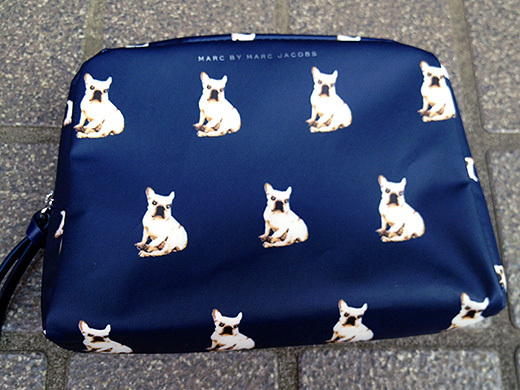 This is a navy blue cosmetics case from Marc By Marc Jacobs featuring a top zip closure, a printed logo, an internal zipped pocket. 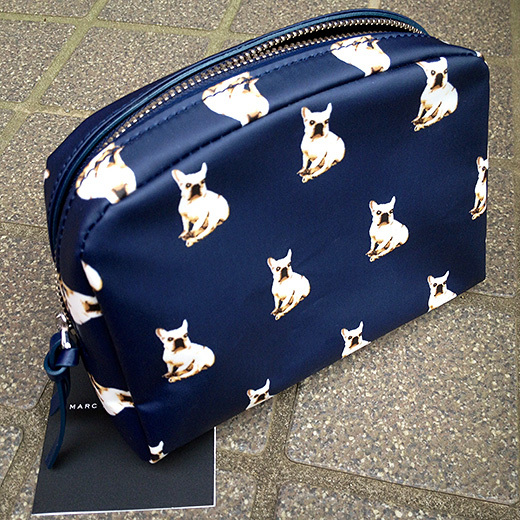 I love this cute cosmetics case with a dog print design. 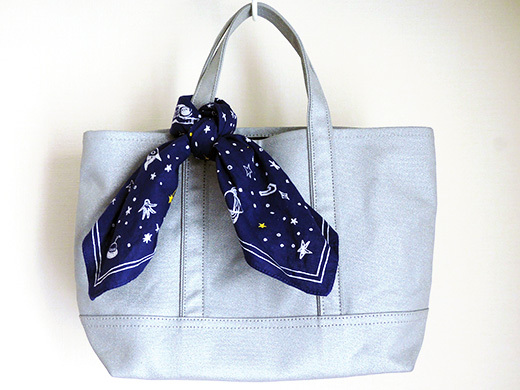 It’s fun to carry a lovely stuff. 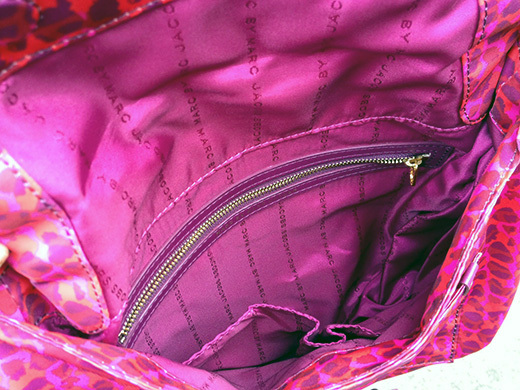 I have my keys in my bag and I am always digging in my bag to look for keys. 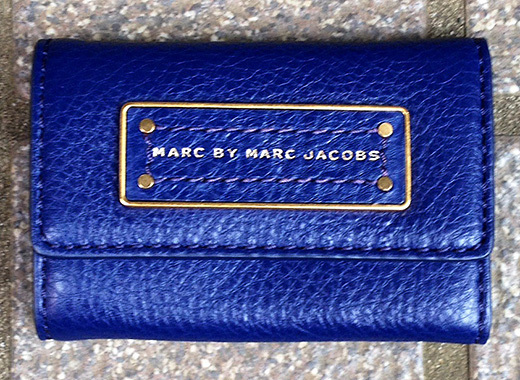 Now I got a sophisticated key case made of gorgeous leather from Marc by Marc Jacobs. It means I never have to worry about losing my keys somewhere in my bag. 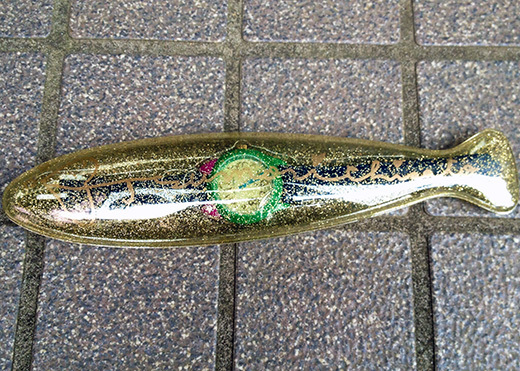 We are in the middle of rainy season in Kanto area including tokyo. 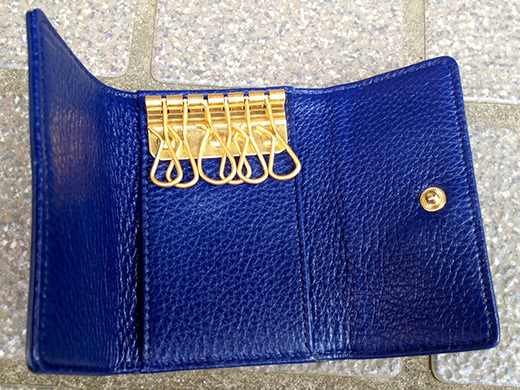 I got a Paul & Joe Sister slim folding umbrella good for carry around. 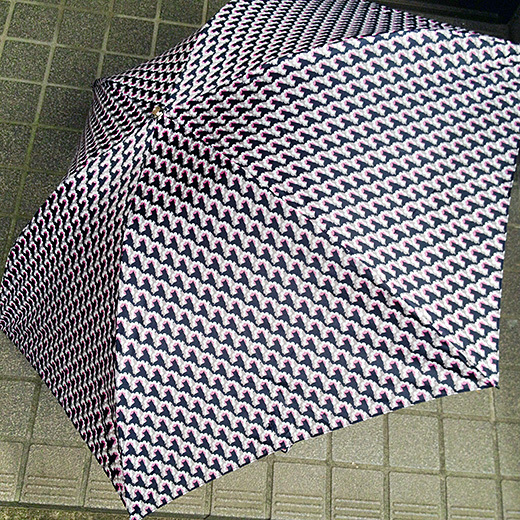 When the weather is unpredictable enough and we do not know whether it’s going to rain or not… I put this umbrella in my bag and I can enjoy going out not worry about rain. I got this cute “big cat! 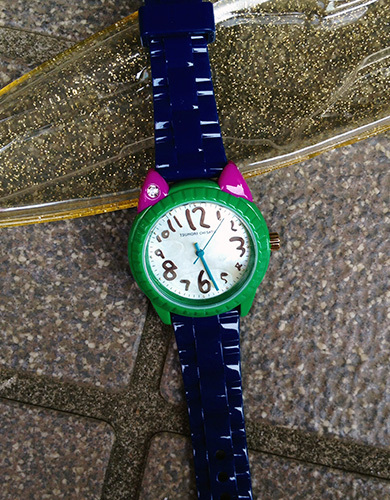 Colors” watch from Tsumori Chisato. The big cat! 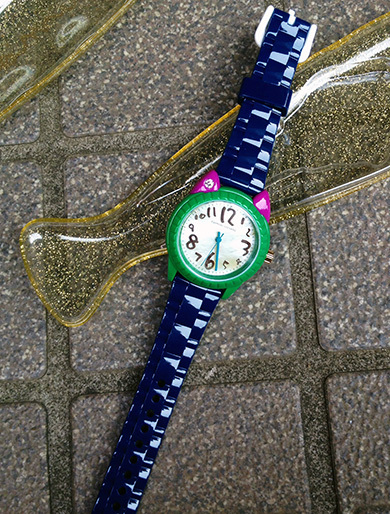 Silhouette collection-based plastic material, light, casual finish pop watch, designer tsumori Chisato’s handwritten index. I love the belt were colored in bright colors. 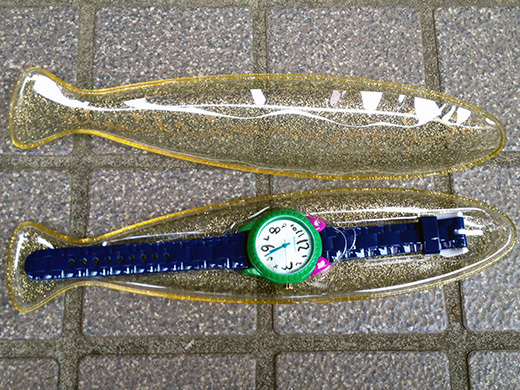 I should wear the watch everyday!